Direct access to the Tor network may sometimes be blocked by your Internet Service Provider or by a government. Tor Browser includes some circumvention tools for getting around these blocks. These tools are called “pluggable transports”. See the Pluggable Transports page for more information on the types of transport that are currently available. Which transport should I use? 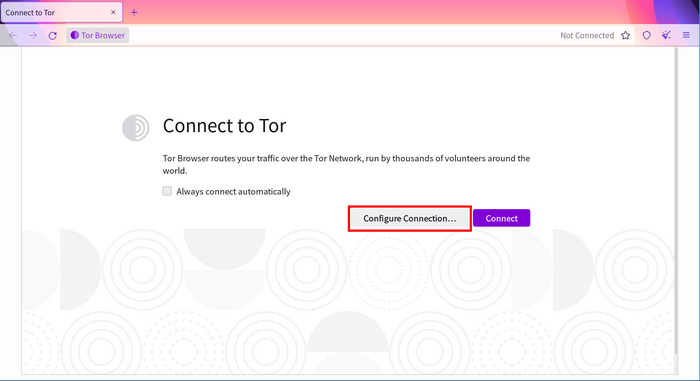 Each of the transports listed in Tor Launcher’s menu works in a different way (for more details, see the Pluggable Transports page), and their effectiveness depends on your individual circumstances. If you try all of these options, and none of them gets you online, you will need to enter bridge addresses manually. Read the Bridges section to learn what bridges are and how to obtain them.